When Mike asked me to be his girlfriend in my favorite coffee shop in Oneonta, I never, ever thought I would be saying today that he's put up with me for two whole years. I truly do not know how or why he has been so great to me. If you're a long time reader, Mike and I met at Oneonta (my old school) and starting dating freshman year. He liked me before we even got to Oneonta, but I wasn't about it. His persistence made me realize he was worth it, and here we are. A year ago we weren't fully long distance yet. Now, I don't even remember what it's like to walk a minute and be at his dorm room. We've made the absolute most of being far apart and I cherish every time I get to see him more and more. 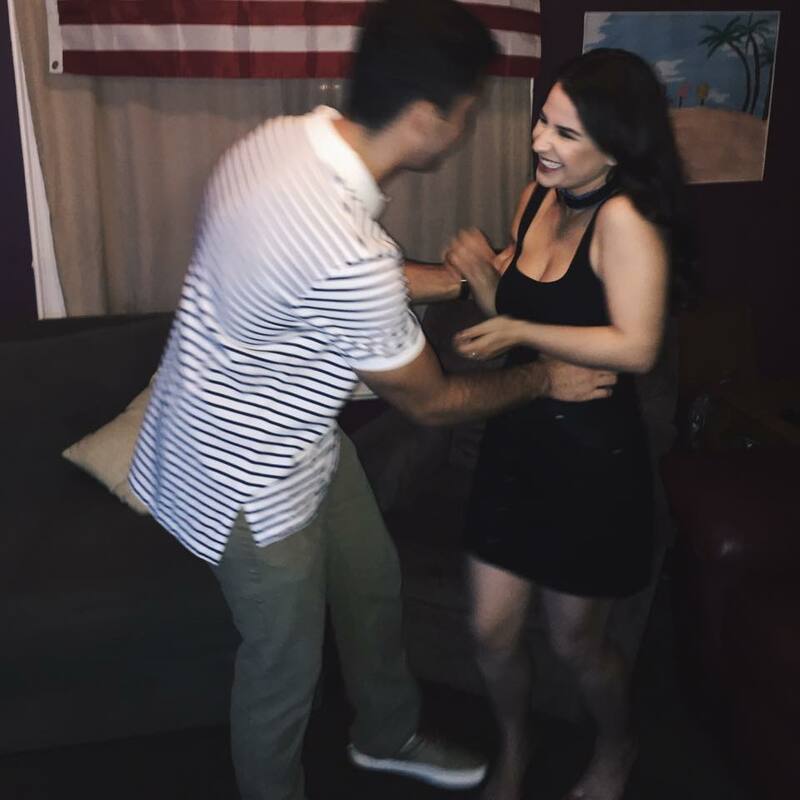 We surprise each other, send letters, and FaceTime, all the typical things long distance people do, but I truly think this change in our relationship was really great for us. I know what you're thinking, who would ever want to be apart from their significant other? What I mean is he is so involved on campus since I left; he joined a bunch of clubs, got his grades up, and does a ton of extracurriculars. For me, I get to pursue my fashion degree at my dream school in my favorite city. I'm thriving, he's thriving, and it's been great. Of course I miss being with him (basically) every moment of the day, but knowing we're both doing better than ever and working on ourselves is really rewarding. What I want people to take away from this is that long distance is work, but it is possible. I never imagined my relationship would be like this and knowing Mike still puts up with me even when we're far apart makes it so worth it. OMG YOU GUYS ARE SO FREAKIN CUTE!!!! 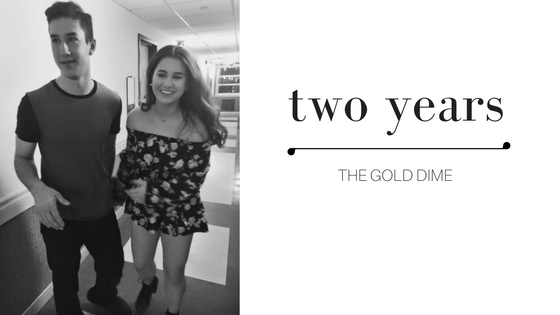 Cheers to two years!! !